JinkoSolar Holding Co., Ltd. (NYSE:JKS) is a solar product manufacturer. 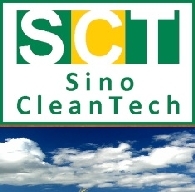 The Company has built a vertically integrated solar product value chain from recovered silicon materials to solar modules. Its principal products are silicon wafers, solar cells and solar modules. The Company sells its products in China and to overseas markets.